Mayor Keisha Lance Bottoms said Atlanta has "grown up around the Super Bowl." Atlanta has grown up around the Super Bowl and the Super Bowl has grown up around Atlanta. Since January 1994, when Atlanta hosted Super Bowl XXVIII -- and the Dallas Cowboys defeated the Buffalo Bills -- the NFL’s main event has become a global phenomenon with an Olympics-like presence and magnitude. 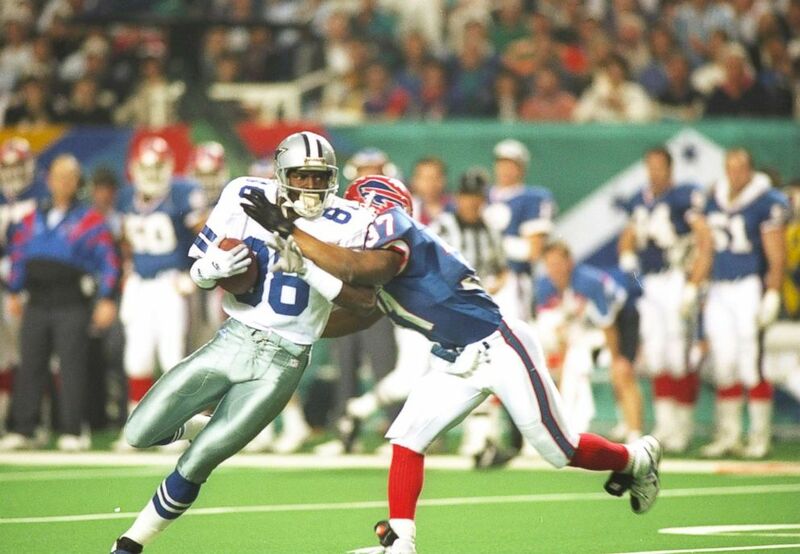 (Jonathan Daniel/Getty Images) Wide receiver Michael Irvin of the Dallas Cowboys (left) moves the ball as Buffalo Bills defensive back Nate Odomes attempts to tackle him during Super Bowl XXVIII at the Georgia Dome in Atlanta.The Cowboys won the game, 30-13. During the same time, Atlanta has evolved into a major international business and sports capital, beginning with the 1996 Centennial Olympic Games. 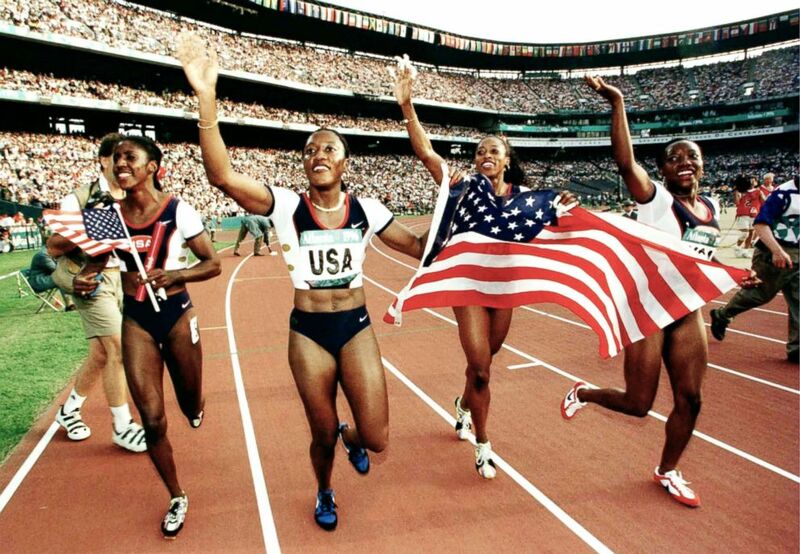 (Simon Bruty/Getty Images) The USA 4x100 relay team, Gwen Torrance, Inger Miller, Gail Devers and Christy Gains celebrate after winning the gold medal during the 1996 Centennial Olympic games at Olympic Stadium in Atlanta, Aug. 03, 1996. Since then, we also hosted Super Bowl XXXIV in 2000, the classic between the then-St. Louis Rams and the Tennessee Titans. We cheer on our thriving sports franchises in state-of-the-art facilities, and we regularly host the biggest events on the planet, all serviced by Hartsfield-Jackson Atlanta International Airport, which is consistently ranked as the world’s busiest and most efficient airport. Last year, Atlanta welcomed the NCAA College Football Playoff Championship game. On Sunday, we will host Super Bowl LIII. And next year, we are home to the NCAA Final Four. No other city has hosted those three events in consecutive years. That might have something to do with how people feel embraced by our Southern hospitality and our unique culture of innovators and influencers. In reality, it owes as much to having the spectacular Mercedes-Benz Stadium, the greatest sports venue in the world, sitting on the edge of our historic Westside, a neighborhood where a generation of civil rights heroes were born and raised. 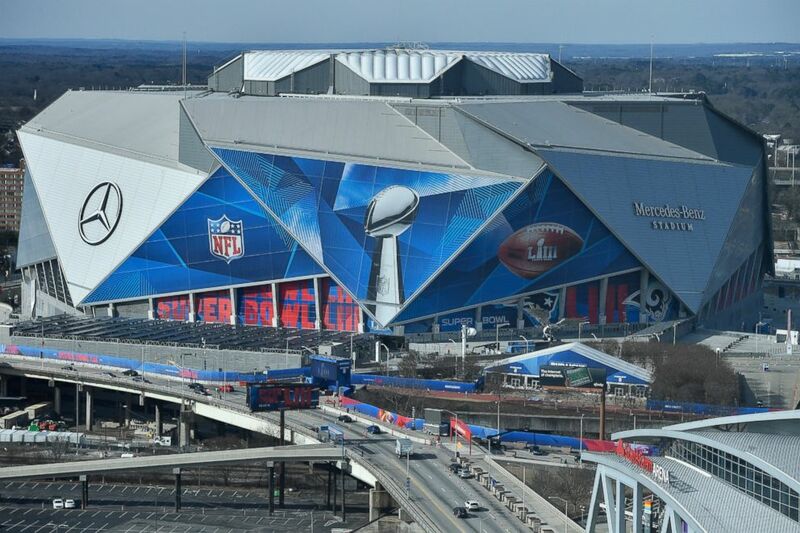 (AP) The Mercedes-Benz Stadium is seen ahead of the Super Bowl in Atlanta, Jan. 30, 2019. Despite all our success, Atlanta will always come back to the Super Bowl as a measuring stick that gauges our capabilities, challenges our creativity and inspires the power of our diversity to elevate our communities beyond the arena of sports. With the unwavering partnership of Arthur Blank, the committed owner of the Atlanta Falcons, we are leveraging the NFL’s presence and Super Bowl LIII as a long-term investment in our neighborhoods and our vision for One Atlanta -- an equitable, resilient and welcoming city for all. 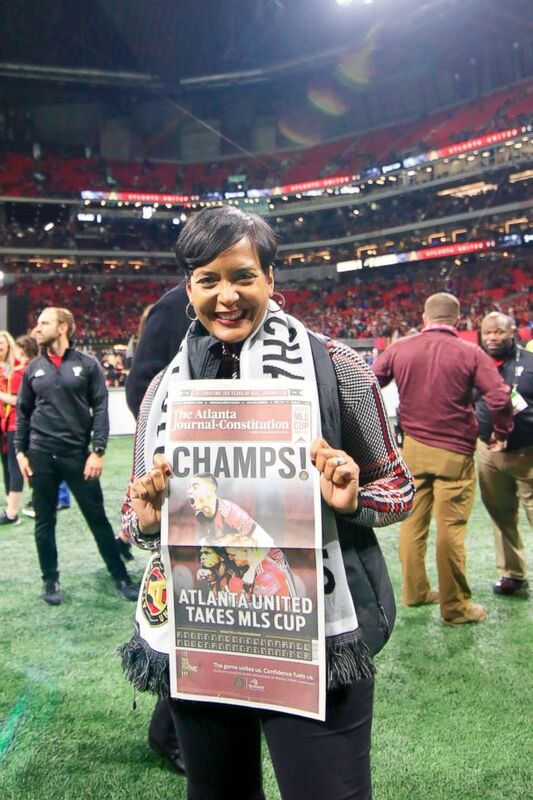 (David John Griffin/Icon Sportswire via AP Images, FILE) Atlanta Mayor Keisha Lance Bottoms celebrates Atlanta United FC winning the MLS Cup over the Portland Timbers on Dec. 8, 2018, at the Mercedes-Benz Stadium in Atlanta. This year we have partnered with the NFL’s Legacy 53 Initiative, the Arthur M. Blank Family Foundation and the Atlanta Super Bowl Host Committee to make positive, sustainable changes at John F. Kennedy Park in Vine City and other locations on our vulnerable Westside. The Super Bowl is much more than a game. In the city of Atlanta, it is a game-changer that is building and shaping our communities. With an estimated economic impact of $185 million, Super Bowl LIII offers an unprecedented opportunity to shine its unmatched spotlight on our strengths as a city, as we channel its energy into the places that need it the most. Ultimately, Super Bowl LIII represents a chance to invest in our people, our communities and our future in the cradle of the civil rights movement and the home of Dr. Martin Luther King Jr. It is a stage like no other, gracing a city like no other. Keisha Lance Bottoms was elected as Atlanta's mayor in 2017. The opinions expressed in this column are solely those of Bottoms and do not reflect the views of ABC News.